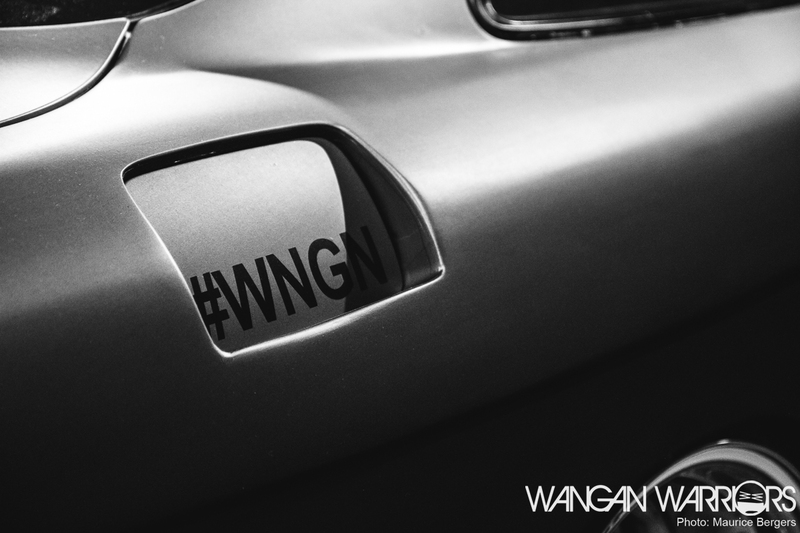 Not only did we want to feature this lovely example of a Soarer because we liked it, we also wanted to reward the owner Kai for traveling all those kilometers to attend #WNGN. Unbeknownst to him, we also surprised him by literally placing his car in the spotlight at the event. Last year at DMPD, Rens was already planning on featuring the previous iteration of Kai’s Soarer, but due to Rens spending most of his time at his dayjob, he unfortunately wasn’t able to finish it. When we heard through the grapevine (the grapevine being our not-so-fearless leader Noud) that Kai had refreshed his JZ330, I spoke to it about Rens, and he was kind enough to let me do the photoshoot. I arrived at De Vasim in Nijmegen on a Saturday afternoon, where preparations for #WNGN were in full swing. Immediately I was greeted by a part of the crew, but also Kai and his Toyota, with the car sittin’ pretty under the arches of the newly built bridge. There was little time to chat, as Rens basically just told me to grab my camera and start shooting… And for some strange reason I actually listened to him.  The first thing you notice, is most likely the colour. 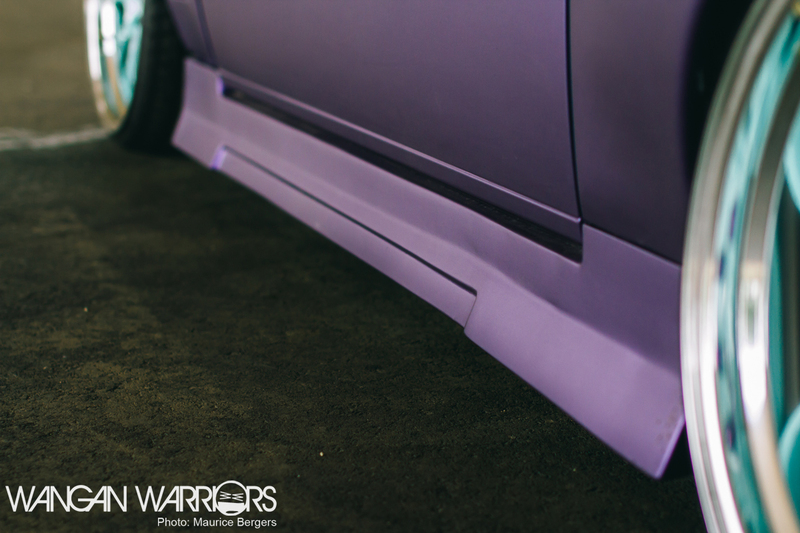 In my opinion the matte purple stands out without screaming for attention. 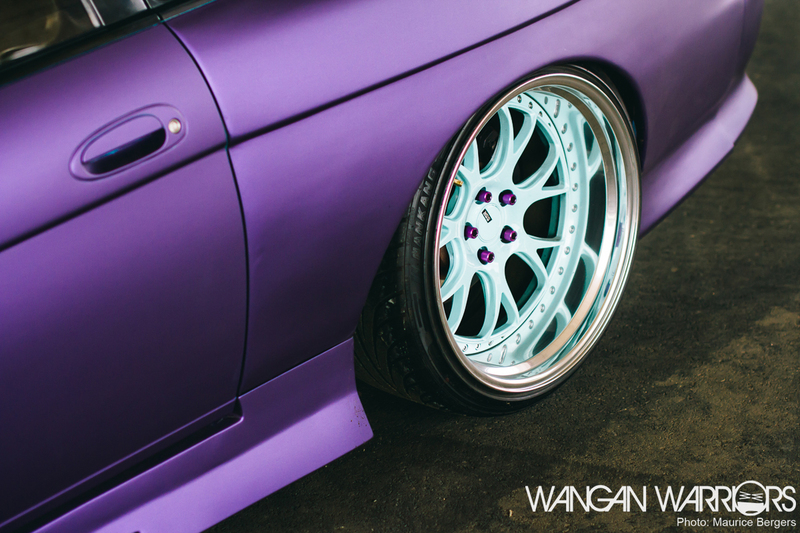 Along with the wheels the colour is perhaps one of the most dominant features of any car, and I think Kai hit a home run with this lovely shade between crimson and violet. Being a whopping 20 inches, the wheels aren’t hard to miss either. The SSR Professor MS3 is a high-end 3-piece wheel that is already a thing of beauty on its own. 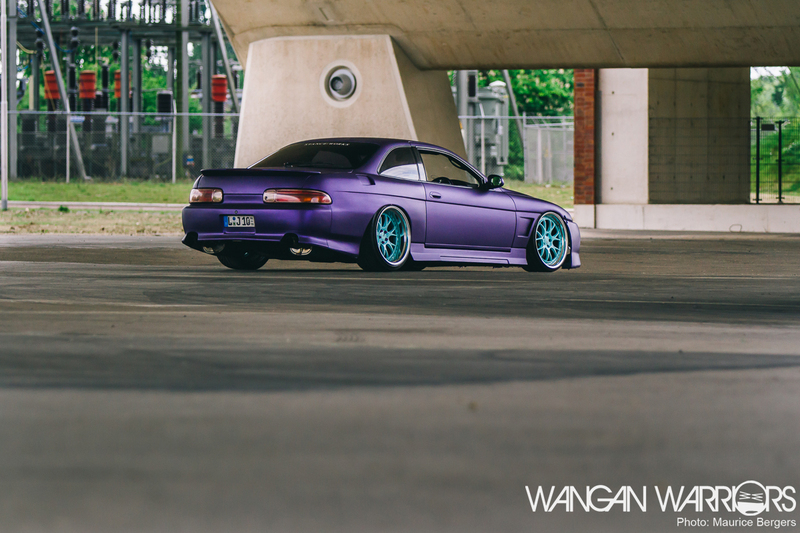 Custom painted in a colour called Tiffany Blue, they are true eye-catchers, and really give this Soarer its distinct look. 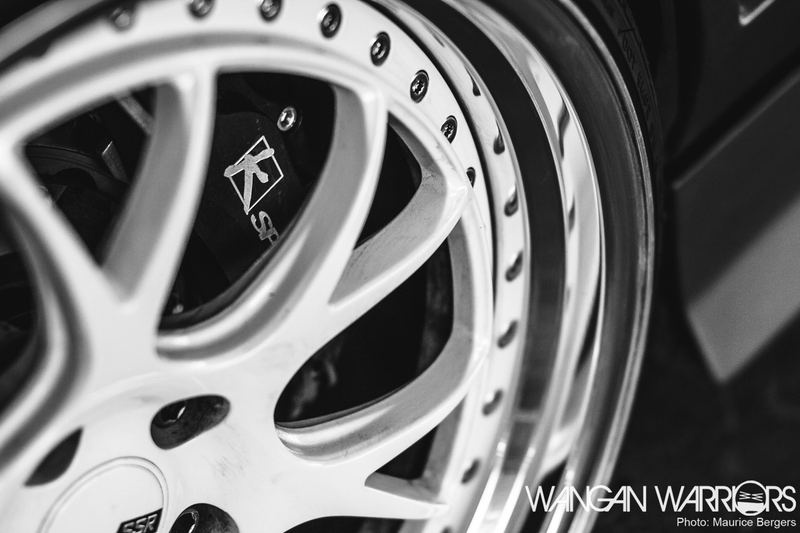 Almost hidden by these big wheels there’s an equally as impressive big brake kit by Ksport. You’re looking at an eight-piston caliper right here. If that won’t stop you dead in your tracks, I don’t know what will. 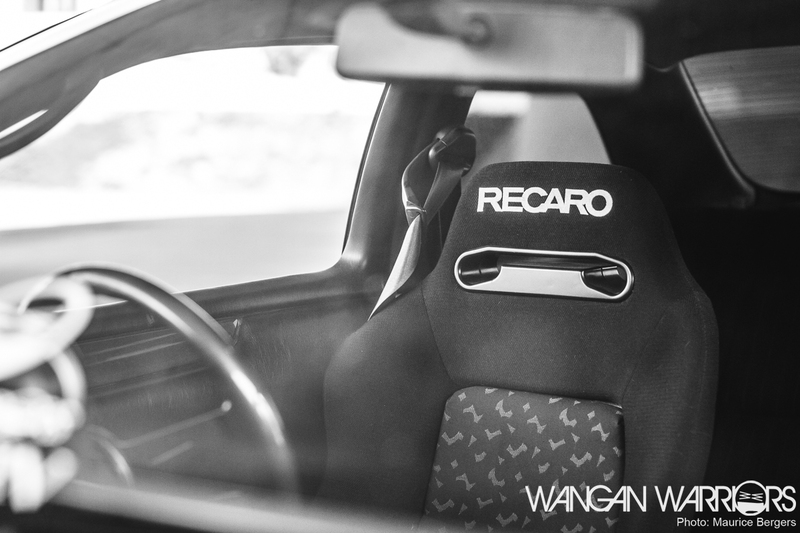 Moving to the inside of the car, we notice two lovely Recaro Speed SR seats on custom fabricated rails to make sure they’re really low in the car. With bucket seats like these on the market, I see no reason to leave the stock seats in whatsoever! 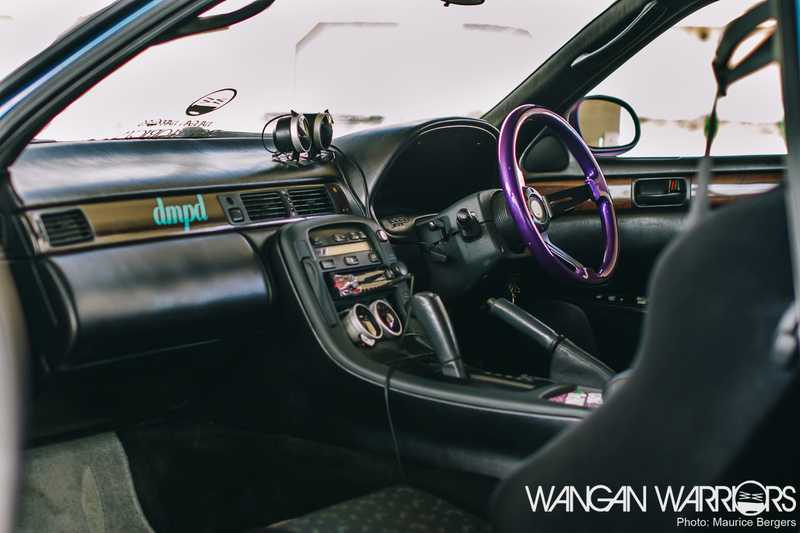 To further connect the driver to the car we see it fitted with an Avenue steering wheel, obviously in purple. It’s also worth mentioning that Kai has completely painted the interior with black vinyl dye himself. One of the other things you immediately notice about this car, is the fact that it’s quite a bit wider than stock. This is due to the Missile K&M widebody kit. 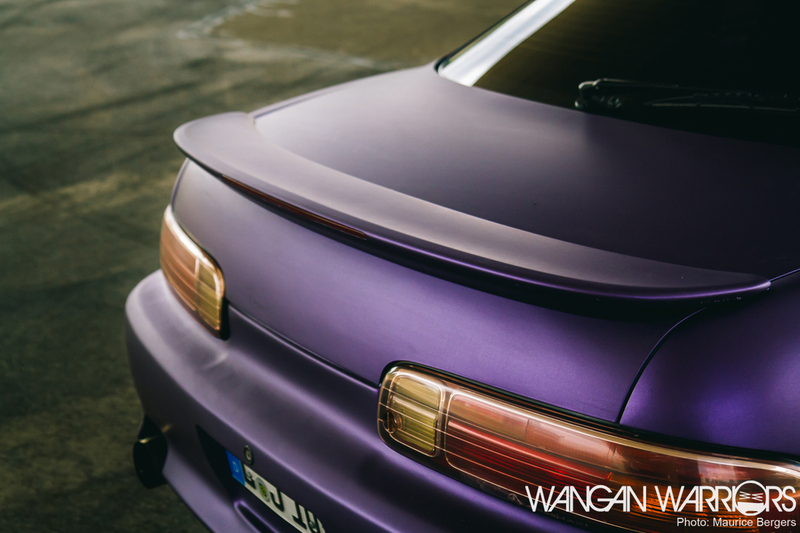 It’s one of those mods that makes you wonder why it didn’t come like this straight from the factory, as I think the Soarer looks a lot better with a bit more ‘junk in the trunk’. To complement the widebody kit Kai opted to go with a set of Vertex bumpers that make the Toyota look even lower and sleeker. 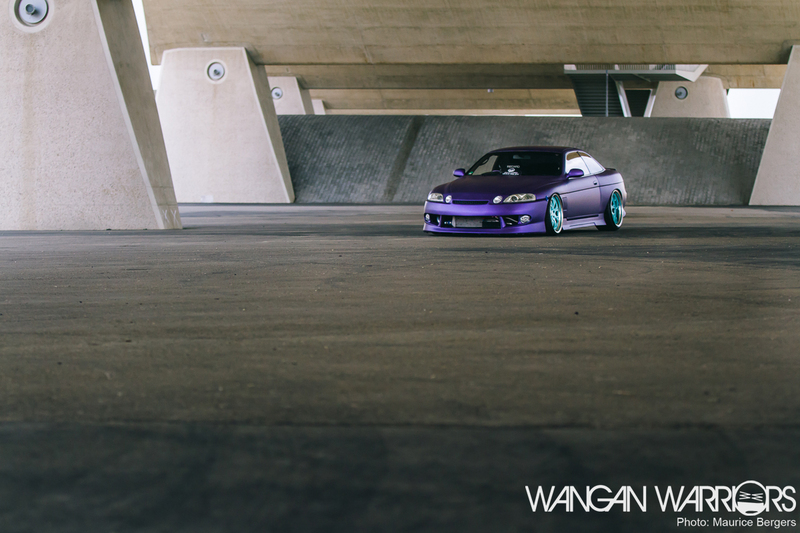 Not only that, but the car is also sitting on a nice set of BC Racing (BR Type) coilovers. 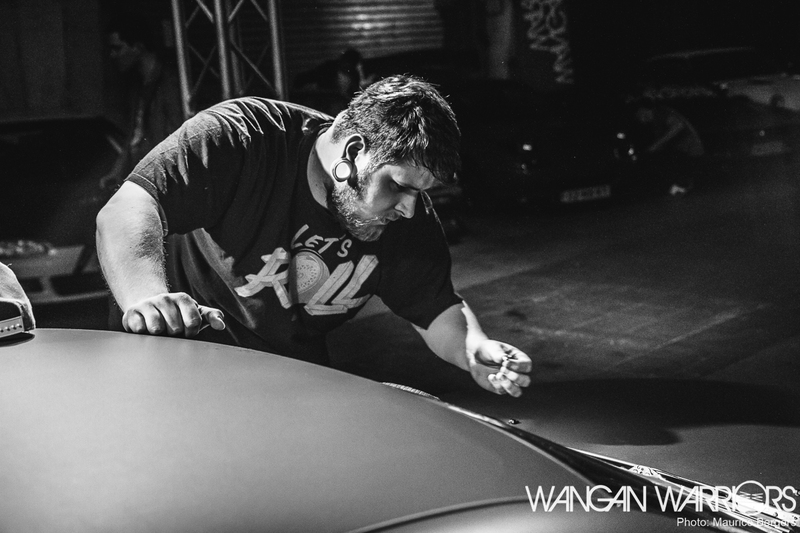 Sometimes the parts available for your car just don’t cut it, so Kai decided to customise a set of Opel side skirts and fit them to his Soarer to complete the look he was going for. 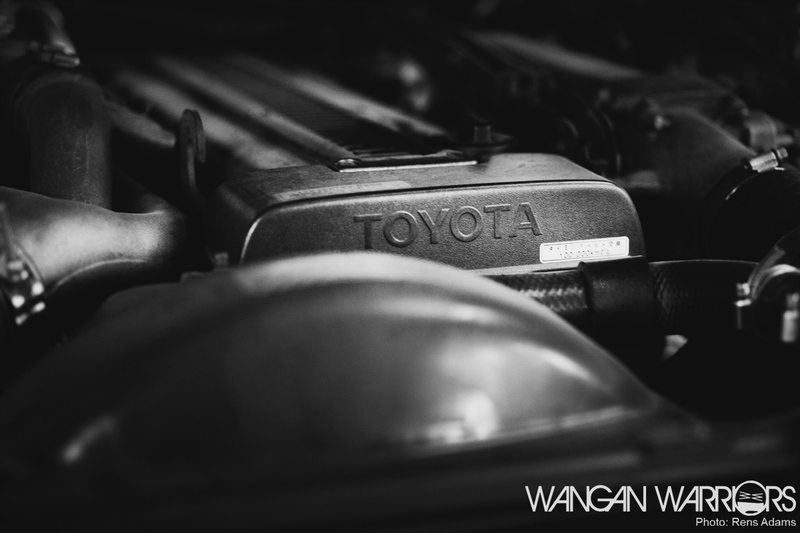 To take care of the sound emitted by the almost stock 1JZ we see Megan Racing mufflers attached to a custom exhaust system. While the engine currently still features the standard double turbo, Kai told me he’s planning a conversion to a single turbo. And not just turbo’s will be replaced, also the currently automatic transmission will be swapped out for an R154 transmission, which is a five-speed manual. A manual gearbox and a big single turbo? Sound like a solid plan to me! 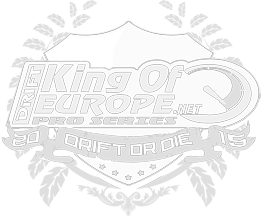 What other plans Kai has for his car I don’t know, but I’m quite sure they’ll only further improve this already magnificent Soarer. 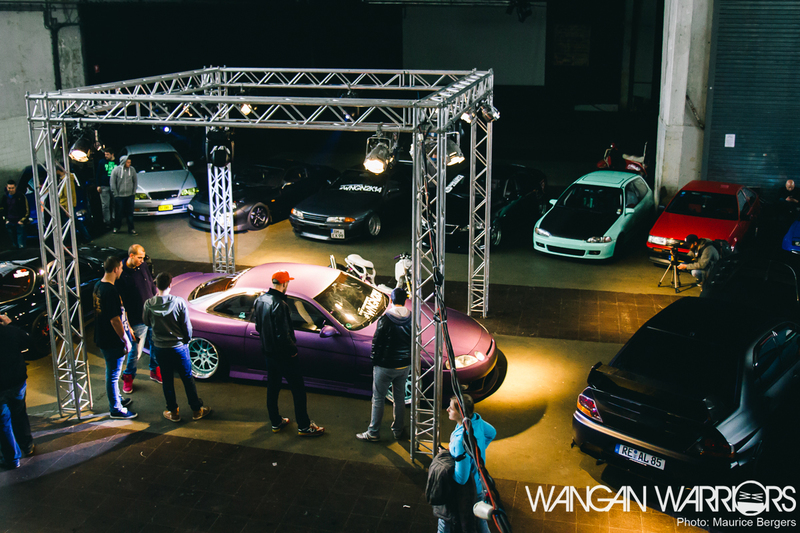 Time and time again Kai has traveled hundreds of kilometers to attend automotive events here in the Netherlands, like DMPD and now #WNGN as well. 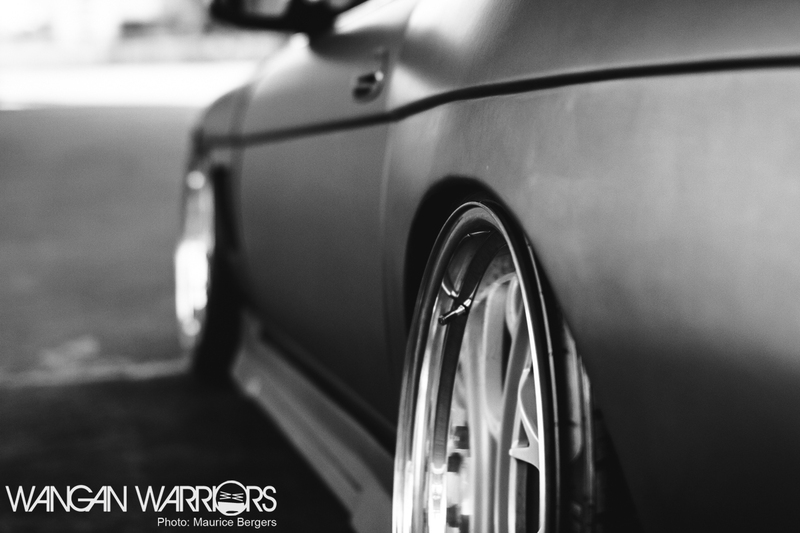 He and his Soarer are now far from strangers to us and our scene, something we don’t mind a single bit. A relaxed and humble guy with a heap of dedication and an awesome car is always a welcome sight! Kai, (a belated) thank you for spending the weekend with us at #WNGN. We hope to see you again soon!